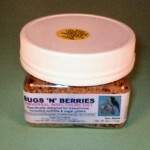 We consider Glider Grub to be the best and one of the least expensive protein foods available. If feed instead of meat or live food, your sugar glider will have no odor. About a year supply for 2. 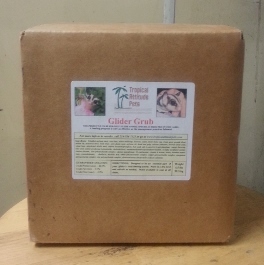 Glider Grub is a high protein dry pelleted food that Sugar Gliders love to eat. Instead of meat protein, it is soy bean protein. Meat of any kind gives Sugar Gliders a very musky smell. It can be very strong. When fed no meat protein, and this soy protein, they have no negative smell at all. If the cage is kept clean and the glider is fed this for the protein, you will be amazed at the lack of odor. For a complete University Study of this issue, please see our post on “Feeding Your Sugar Gliders”. This 4.5# box of food typically lasts two gliders about one year. If kept in a freezer it will stay good for many years. It should be fed “free choice”. In other words, have a small bowl of it in the cage at all times. They will eat it at their own pace. Gliders know when they need protein and will eat more or less depending on their needs. For instance, when a female is nursing babies, they will eat about 4 times the protein that they normally would eat. NOTE: Don’t give your gliders a smorgasbord of fruits and veggies each evening, or they will quit eating the dry food as well as many fresh fruits and veggies they would normally love. 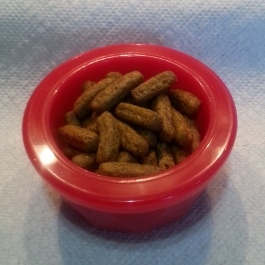 I recommend giving them apple, and two other items per night, along with the dry food free choice. Otherwise they will wait for their favorite items and not eat a balanced diet at all. It is like eating their dessert instead of their sandwich. You may have spoiled children, but don’t have spoiled gliders.